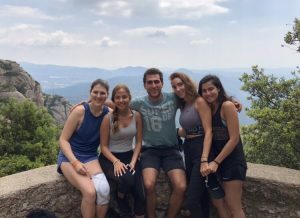 SAI recently caught up with SAI Ambassador Lindsey, who answers some questions about her semester in Barcelona. My favorite thing to do in Barcelona was to just walk around as much as I could to discover new places. After class, I would run home to drop my things and then hop on the metro. Sometimes I would research interesting places to go to or other times I would get off at a new stop. Barcelona is such a huge city, so there was always something new to explore. By doing this, I ended up discovering the gothic quarter, which became my absolute favorite area. It has tons of tiny, local shops and some of the most beautiful buildings. I went here about three or four times a week because I loved it so much; it became my spot. By the time I left, I knew all the streets in the area, the best restaurants, and the best shops. I even went to this one iced coffee place so often that the baristas knew my name. When I began my study abroad journey, I did a lot of research as to which city I wanted to go to and what program I wanted. I know it can be overwhelming, but you’re the one with the power because you have limitless options. Just choose a few things that are important to you and start there. For me, costs, program dates, and living situations were big factors to be considered. Additionally, I highly suggest studying abroad alone, with no one that you know. It might seem terrifying at first, but you will meet some great people and make new memories with them instead of being isolated in your little group. Trust me, I was nervous at first, but I made some lifelong friends that I still keep in touch with. I even met people in my classes who weren’t in my program and we became great friends too. I’m not saying I became best friends with everyone, but you will definitely meet at least a few people that you like and want to travel with. I even met someone in my Spanish class that was from my home university! My experience has taught me that every country is so different and has its own beautiful things to offer. 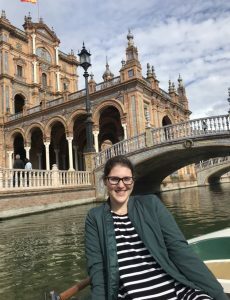 Before my study abroad experience, I had never been to Spain before. 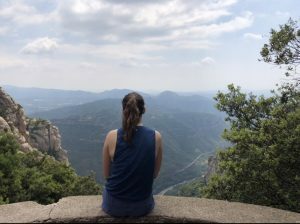 So, before I left, one of my concerns was what if I don’t like Spain? But, as I came to realize after travelling around, there is something that you will like in every place and something that you won’t like. That is part of the whole study abroad experience. You get to do and see so much that you never would have had the chance to otherwise. I learned that people all around the world are kind and will respect you so much more if you just try to speak their language. It doesn’t have to be perfect, but at least you’re showing that you care enough to try because you’re in their country and you would expect them to do the same for you. Finally, studying abroad has taught me that the world is an amazing place, and there’s so much out there to see; it’s not possible to make it everywhere during a few months. I think it’s important to see as much as you can, while not missing out on the little day to day things in your own host city. 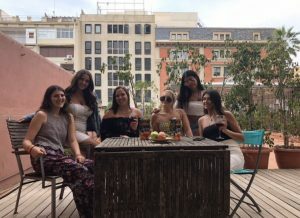 Lindsey was an SAI Barcelona summer 2018 student from the University of Florida.